In celebration of their incredible history in travel, LOUIS XIII cognac, one of the most luxurious spirits in the world, has developed a limited-edition masterpiece, L’Odyssée d’un Roi. Created in partnership with Hermès, Saint Louis, and Puiforcat, the three gorgeous trunks were hand-stitched in the Hermès Atelier and are being auctioned at Sotheby’s to benefit Martin Scorsese’s The Film Foundation. 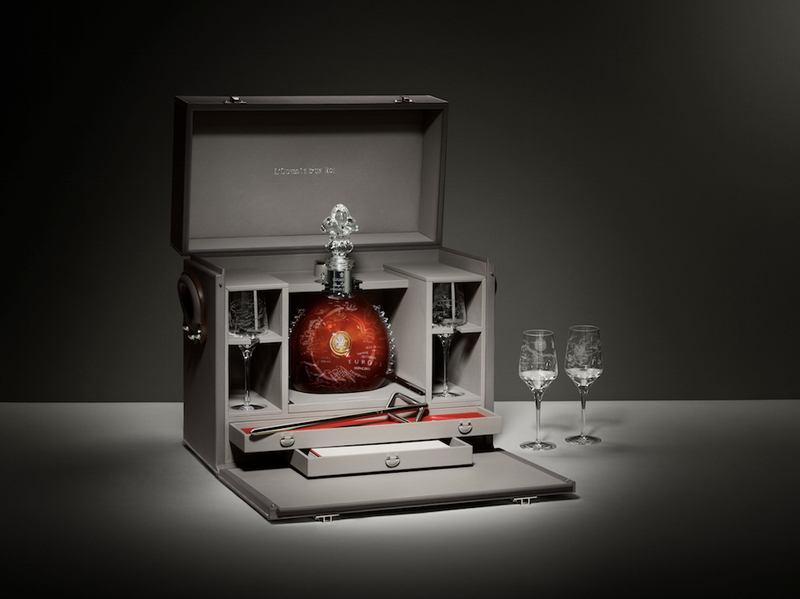 The three trunks were designed for each continent on which the cognac was originally shipped, and each bears a hand-forged white gold Puiforcat pipette, four elegant Saint Louis glasses and a cognac decanter which are engraved with a 19th century map commemorating the first travels of LOUIS XIII, which has since been served on board the Normandy, the Orient Express and the Concorde, to name a few. Inside, a carefully packed bottle of LOUIS XIII Cognac enriched with a selection of the house’s oldest treasures from Grande Champagne can be found. Each of the three trunks also boasts a unique design inspired by the continent for which it is destined – North America, Europe, and Asia. The North America’s trunk will be auctioned tomorrow at Sotheby’s in New York. The trunk commissioned for Asia will be hitting the auction block at Sotheby’s in Hong Kong on October 1, followed by the Europe masterpiece at Sotheby’s in London on November 16. There will be a starting bid of $100,000 for each masterpiece. This is the first time four métier d’art have collaborated on one item in this way, and more than 50 individual artisans devoted over 1,000 hours to produce these three bespoke creations. So we must ask – how much would you bid for this gorgeous (and delicious) creation?